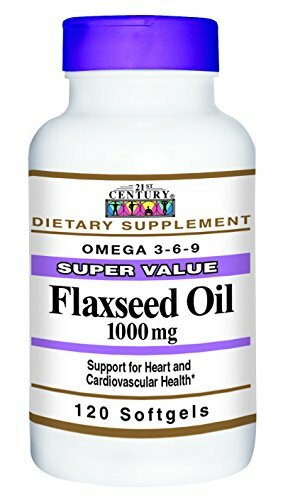 View More In Flax Seed Oil. Omega-3-6-9 fatty acids and lignan to support healthy hormone levels. Flaxseed is the richest known vegetarian source of omega-3 fatty acids. Maintains triglyceride levels already within a healthy range. If you have any questions about this product by 21st Century, contact us by completing and submitting the form below. If you are looking for a specif part number, please include it with your message.